I had written that the week had started with lukewarm news about an immoral or at least questionable relationship between a president and a religious leader, all because Minister of Foreign Relations granted Edir Macedo a diplomatic passport, but then the STF, unfortunately, rekindled the bonfire of censorship with an ice bucket over freedom of speech. 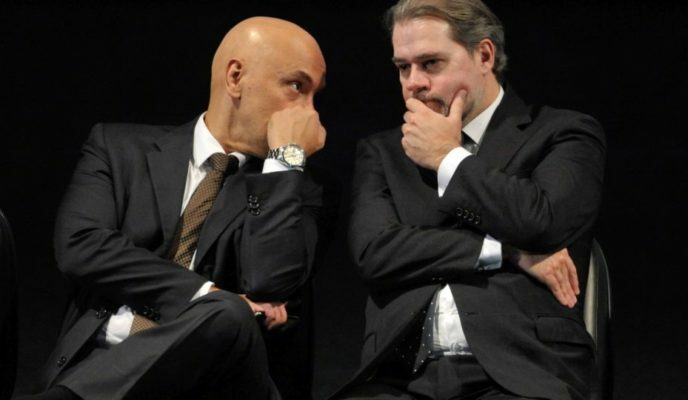 Justice Alexandre de Moraes ordered the website O Antagonista to remove an article about Justice Dias Toffoli’s involvement with contractor Marcelo Odebrecht. And I was about to use more warmth-related words when it flashed on my screen: Fire breaks out at Notre-Dame Cathedral, in Paris. All that changes “potentially hot” news about a death threat made by Minister of Tourism toward a federal representative into something at best warmish. And, well, I don’t want to fire up your fear, but Ministry of Health is setting up a monitoring system to focus on the deadly mold Candida auris. STF Justice Alexandre de Moraes enforced censorship on the website O Antagonista this morning. The censorship also reaches the site’s magazine Crusoé. At STF Justice Dias Toffoli’s request, Moraes ordered O Antagonista’s editors to remove an extensive article about Toffoli’s involvement with contractor Marcelo Odebrecht, under threat of a R$100-thousand fine. The editors also have to testify on the matter within seventy-two hours. A fire broke out at the Cathedral of Notre-Dame, in Paris, this afternoon. As soon as the flames appeared, the church, the most sought-after tourist religious destination in Europe, was evacuated. The roof has already collapsed. The French President Emmanuel Macron has canceled a national address about the yellow vests movement due to the fire. The cathedral was built in 1260. The place was undergoing a major renovation. Minister of Foreign Relations, Ernesto Araújo, granted religious leader and Record TV owner “Bishop” Macedo a diplomatic passport. Macedo is an ally of Bolsonaro. The special passport was also granted to Macedo’s wife. The diplomatic passport is a privilege which ensures special treatment in airports. As a rule, this kind of document is granted only to people involved in some kind of diplomatic mission. Exceptions can be made, though. A system of monitoring against fungi is being created by the Ministry of Health. The idea is to assess measures against a mega-resistant fungus called Candida auris. Deadly in up to fifty percent of the cases, this kind of mold is immune to almost all drugs and it has been spreading all over the world. There are no cases of the fungus in Brazil yet, but medical authorities fear that it can enter the country via Venezuela, where the fungus killed dozens in 2012 and 2013.